Price: $ 29 for a single license or unlimited license for $ 47. Both are a lump sum. Content Siphon, What does it contain? Do you have a WordPress website, then you can buy and install it. If you have not, you need to find a host and one-click installation with WordPress. You can get to a single page, or you can get as many pages as you want to create. But ok, it’s a plugin that can help you find a context after you’ve entered a keyword. The tool finds that relevant context from a whole lot of news sources. From the search and youtube. Here are a lot of sources that the software can extract from the context. In fact, by dragging it from one end of the software onto the actual post, create an article very quickly. You can build an extensive website very quickly. Without spending much energy on it. But it is not something that you build on originality. In short, it’s a plug-in for a WordPress website. Here’s a search box where you can enter a general keyword. Then the software finds the relevant context and images that you can use to create your articles. What it does not contain is your website. You need to pick it up somewhere else. Now I want to consider whether to show you how to get a website. 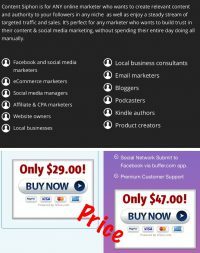 Want to work with affiliate marketing? Learn SEO and work on a topic that interests you. It could also be local marketing. But no, I will give you a page that you can build almost as you like. You get the first ten lessons in a series of over 70. They contain more value than you find elsewhere online. Yes, in many cases, you pay more money than you like. You will also pay with my model. Your stress level will rise much during the first few days. You want to get an understanding of what it requires you to build authority online. Ok now, you’ll hear what I have to offer. 15 themes that you can use right away. Build it for 4 minutes. Two times ten lessons where you learn the most basic. Yes, you can build to fit your temper. Access to one of the most vibrant online communities available. Help to get an immediate response. Hi, there is the price. When yes you are allowed to test and keep your pages. Yes, a week’s test, free and free. I like to point out that you should remember to give credit to the publisher of the context you borrow. For once, you’ll be allowed to see the tool on the sales page. It has no value in the organic search. 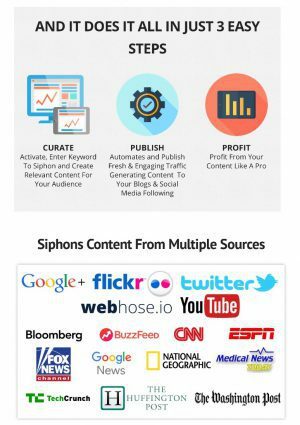 Who can benefit from Content Siphon? I should start by saying that there is no particular benefit to using these tools. Create articles, with another software. In ancient times, it was called to spin the articles. But that technique is not very many that use more. The reason is that whatever you change about something you have not created yourself is that its plagiarism. Google and the other search engines have been aware of it for a long time. That’s why you can only use this socially. For, you borrow texts that have before. Then you do not include the consideration of those keywords. Ok, do not think about competition from other keywords. You are not coming up with the search. That is probably also the main reason for asking you to give credit to the original author. You do not build a business here; you make a large copy of what has before. Social traffic is a strange size. You never know if you can catch a target group there. Although popular articles that you publish, you will only get a lot of readers in scattered cases. When I look at my traffic on my pages, it’s only about ten percent that comes from social media. When we talk about who can benefit from such a plugin here, the most prominent benefit is apparently for those who have their right to promote it. 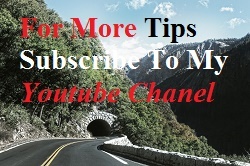 Can you promote it to new online and get a sale on the way, so this is the most significant advantage to those who can get promoted to new online. Yes, because they will meet half a product, so they have to invest in the rest of their related products. 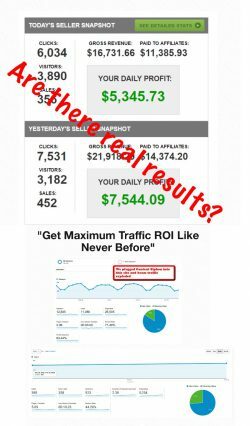 So, instead of just getting fifty percent of $ 27, you can earn well over a hundred if a little more new Marketer online falls across your page where you promote it. I like the provider even before you buy something, shows you what the software can do. When you hit the member area, you get a series of videos about what and how to use this plugin. When it’s a new program, there are always some startup errors that should be corrected. So, even if it works in the instruction, it may take a week before it starts to work. This feature also sees when the massive wp update comes here this fall. Yes, it will be drag and drop like this. But as you said, you get a pretty ok instruction even before you start. I see that as an excellent sign. In addition to a pretty ok F & Q, there is also a contact mail already before you start. As with all others of this kind of software, it will also after it has been on the market. Even if you have purchased the opening offer, you will receive the same updates as those who buy it later. In addition to purchasing the jumbo package, you will also automatically become a member of a closed support group on facebook. So far, the price has not moved 27 $ for a single license and 47 $ to get the full license to over 100 pages. Here you also have access to more sources that you can download your content and images. Here are also some extra training bonuses that would make life a little easier for you. But do not make mistakes you want in the member area to meet more attempts to make you buy extra. Fortunately, the most expensive product here is under $ 100. I see two different things when I look at this plugin. First of all, I see a drag and drop plugin. As the future of WordPress. Yes, we WordPress users will work much more directly with our designs in the future. I can also see the technical smart in gathering context from many different sources and making it uniform. Yes to say it straight. I am looking forward to the first joke, steps that we almost will work directly on the front page. Is a drag and drop plugin, so we approach and decide. But yes there is one. Now let others’ context be theirs. Create your own based on your research. 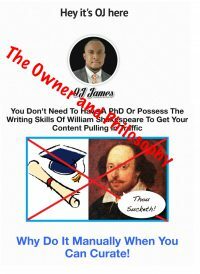 The authority that would like to keep in mind when publishing context will be out of date, and your blog will just become a long series of relevant articles within your specific niche. Remember, people are very selective about whether they want to click a link in the social media. Even if you buy traffic, there are very few who read your presentation. Unless they come from a source that is known. Here I am thinking of online journals or other forms of authority. Your blog will be a copy. Although working with my context will not change very much, I am very excited about what the future will bring. Drag and drop is a big step forward, although in the next year’s time we will notice some startup errors. They do not fail here, the tool works, and you can retrieve from a lot of sources. But when creating lightning articles with someone else’s context and videos, I’ll just let you know that you’re just getting a messy copy. Even if your website has your touch, it will not your research. No, because you bought an excellent plugin that does it for you. Content Siphon How Highly Rank It? So it’s a big question to classify it as spam, or if I can recognize it as being something new and useful. 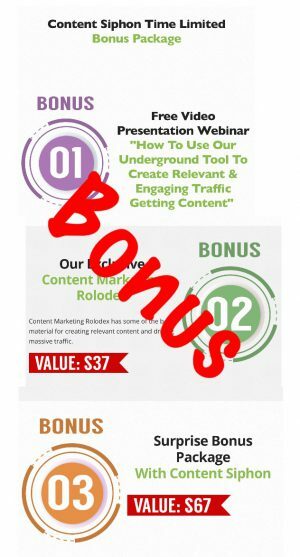 When I look at the bonuses, you get yes, you get a course in which you create a context. Be aware that it is critical to you. You must create the reference to the context of others and give them credit for it, so you are not plagiarism. But if you are, I’ll also consider whether it’s worth the money to buy a software that’s drag and drop. It becomes a reality in WordPress, here during the summer. Maybe I’m still a little conservative what significant updates bring. Do you see it solely as an auxiliary tool? Do you, however, intend to use it to fill in your website with context from all sources of authority. Then I think you have a problem. You only do not become one yourself. If you have experience of using this, I would actively like to know what you feel about it. So let me put your attitude down in the comments field. PS remember to press one or more of the social buttons while you’re here. Thanks for this informative review of Content Siphon and for sharing your findings. I always like to do my research before handing my money over for products online, because I’ve been burnt in the past. The first thing I noticed was your rating of 0/10, so I didn’t go into the rest of your review with much confidence in the product. So it’s basically just an article spinner? I’ll give this one a miss thanks. Hi Darren! Thanks for the comment. No, it’s not spin you know it from before. It’s a drag and drop plugin. It allows you to retrieve content from a lot of sources. It does not give you authority if you do not. But on the other hand, it will be the way we work with WordPress. So you can quickly retrieve your texts and add them. just like you can do the same with your video and audio. But as long as you do not use it in the way they recommend on the sales side, it’s a pretty ok tool if you do not want to wait for Gutenberg to go here this summer.